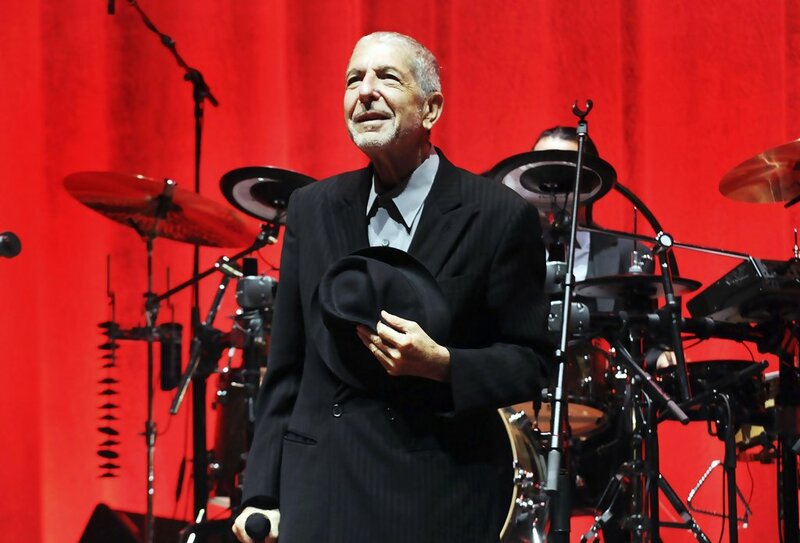 There is nothing quite like a Leonard Cohen concert, and last night he really pulled out the stops. 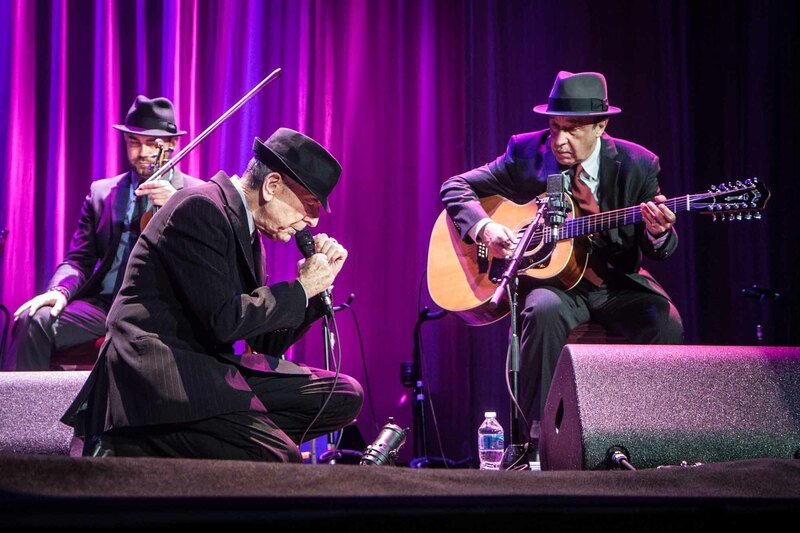 Everybody knows the words to one of his songs, or two, and there is no more beautiful way to be sung to sleep, or to cry your heart out, to the maudlin, beautiful lyrics of everybody’s favourite Jewish, Canadian, Buddhist, besuited, dapper-hatted, gravelly voiced songster. I once had the surreal experience of being sung to by a duo of beautiful precocious songstresses, whilst in an Alfa 164 Lusso being driven fast across the Salisbury Plains, made all the more surreal by the destination being the famed Neolithic circle of ancient stones, and the songstresses wanting to sing along – despite being only 4 or 5 years old – to none other than me old favourite Leonard Cohen. Not for them the sub-frequency rumble from deep in the black heart of Leonard, but instead the dulcet high pitched tones of tiny tots, belting out “Everybody Knows that the dice are loaded” at the top of their tiny lungs. Aah, those were the days. Sasha and Amelia – do you remember that…? Certainly last night’s concert would have been bringing back a few memories for most of the people there – grey hair, balding, beards and an awed reverence were in order, for both men and women, although there were some almost youthful people there – at least five of them in total. Ben – I’m impressed that you could stump up the dosh for the monster ticket price. Perhaps, like me, the rest of the audience may have thought that this would be the last chance ever to see this musical legend – but he is still performing in such a spiritedly fashion, that I have no doubt he’ll be back again one day soon. First, we’ll take Manhatten – then we’ll take Berlin! In case you’re still interested in going to Stonehenge: something’s changed. Indeed, it was that good. His perfection of the song-smithing obviously comes from years of practice, but even that glossing can’t take away from a special underlying cleverness of lyric, and poignant sympathy of heartfelt lyrics. What was lovely, to me and the many others in the room, was his willingness and ability to lay himself bare with the words of his song. Despite being 78? he still sings of the captivating beauty of a perfect body – the effortless beauty of youth. How do you write of this without sounding creepy? Only Cohen knows. “To touch your perfect body with my mind”. Fantastic concert. I’d not been to see him before. The lyrics are great – really got to listen. His band was fabulous, and I liked the way he gave them all some limelight to show off their talents. He engaged with the audience in a way more authentic way than most artists, and with a fabulous often self – deprecating humour. And the stamina ! I have never seen any artist give was it four encores ? He started at 8 pm, and by my watch the last song was shortly after 11.30 – and he’s 78 or 79 – truly amazing. Thanks Maximus and thanks too Leonard Cohen for a truly memorable concert. Cheers and best wishes for Christmas and New Year.